This combination IQ-OQ-PQ design of protocol template was designed by Validation Online, in response to several hundred reader suggestions we received in our ‘Suggestions Section’. It was specifically designed to make it the preferred choice for Process and Laboratory stand alone equipment. It is interactive, easy to use and suitable for all mixes of equipment with and without software. The Installation Qualification (IQ) (section 1 of combination IQ-OQ-PQ) establishes documented verification that key aspects of the equipment adhere to approved design intentions and that the recommendations of the manufacturer have been suitably considered. The Operational Qualification (OQ) (section 2 of combination IQ-OQ-PQ) establishes that there is documented verification that the installed system functions as specified and that there is sufficient documentary evidence to demonstrate this. The Performance Qualification (PQ) (section 3 of combination IQ-OQ-PQ) gives documented verification that the equipment performance in its normal operating environment is consistently exactly as specified in the User Requirements Specification (URS). Introduction to the IQ-OQ-PQ Protocols. The IQ-OQ-PQ protocol template contains over seventeen fully detailed test scripts along with the methodology for twenty more compliance tests and inspections. 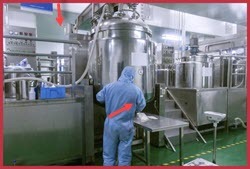 It has been collated from the three individual IQ-OQ-PQ templates and incorporates sufficient inspections and test stages to ensure that the equipment under qualification has been properly installed, operates and performs in a manner that satisfies all the appropriate requirements as detailed in the relevant User Requirements Specification (URS), cGMP’s and your company practices and procedure rulings. All companies carryout routine calendar based qualification and re-qualification functional testing of stand-alone laboratory type equipment. Unfortunately most of this testing is documented in a manner that is not compatible with basic FDA, WHO & EU validation protocol standards. If a little time was spent on revamping these test documents standards, (changing the template would only have to be done once) a format could be used that would enable all such testing to be included in any validation online requirement. Since regulators already accept the concept that unnecessary retesting should be avoided whenever possible. It follows that since all other tests in our protocols are fully written up, if the routine Functional Test Specification (FTS) was of the right format then a recently executed routine or commissioning test could be reviewed and commented on in any validation online protocols, as an alternative to repeating all the IQ-OQ-PQ associated testing. This would result in the time line and cost of validation for this equipment being greatly reduced. Click here to view the FDA, WHO & EU requirements for protocol testing formats that should be used for IQ-OQ-PQ protocol wording. All of our three part combined IQ-OQ-PQ protocol templates are written to a common standard with the layout, introduction and table of contents being very similar. While all the test and inspection stages are purposely targeted at the validation requirements of the specific item under qualification. The IQ section of the combined IQ-OQ-PQ protocol contains all the standard inspections and tests that you would include in a stand-alone Installation Qualification Protocol for the same equipment. The Operational Qualification section of the combined IQ-OQ-PQ in a similar manner contains all the standard tests and inspections that are usually included in a stand-alone OQ protocol and the Performance Qualification section follows the same pattern. All three IQ-OQ-PQ protocol sections contain spare test script pages; that can easily be edited to suit any specific additional tests that may be required. So why not ask about validation online time-line savings made in using these three part protocols ? Which are still held as three separate tasks (for compliance purposes); but are published as one document (for cost effectiveness). I.E. One introduction to be edited. One rationale to be edited - Test scripts all written up for you - One document to be circulated for peer review - One document to be approved and printed. Only one document to be managed and maintained through from conception to execution and through change control and on to archived. The case for the combined IQ-OQ-PQ is very compelling. Consider 10 items requiring validation that means it could be just ten IQ-OQ-PQ protocols as opposed to thirty to write, review, edit and approve. Make no mistake; reviewing and approving documents is always the task that is least planned for and subsequently often a serious bottle neck in achieving time line requirements. Most editing is interactive, i.e. entering the basic data; once, (Company name/equipment details, etc.) immediately inserts the entered data throughout the whole document. This Combined IQ–OQ-PQ protocol is a really easy and attractive document to use. It is prefaced by a 10 page SOP, which enables you to follow the SOP instructions and progressively (page by page) convert this fully detailed template into a superb Combined IQ-OQ-PQ protocol. Now this new combined IQ-OQ-PQ protocol brings a refreshingly simple and attractive approach for the industry professional, enabling them to raise professional quality validation online protocols in a very efficient and cost effective manner. This combination IQ-OQ-PQ protocol has been produced in response to several hundred Validation Online reader suggestions we received in our ‘Suggestions Section’. It has been carefully designed to make it the preferred choice for Process and Laboratory stand alone equipment. It is interactive, easy to use and suitable for all mixes of equipment with and without software. We have launched our brand new SOP for Spreadsheet Creation to cover these and other known target points that the regulators consistently hone into as soon as they find that spreadsheets are being used. Use this Spreadsheet, along with the new combination IQ-OQ-PQ protocol for spreadsheet validation. The Standard Operating Procedure attached to this generic Validation Online design qualification protocol, will chapter by chapter, take you through the task of raising a fully detailed document. The main body is split into fourteen tables, each one probing the design requirements and standards for the individual requirement. The document will lead you through all these design aspects allowing you to delete some you feel are not important to your equipment. It is an easy document to use and will ensure that you’re DQ’s are relevant and work well with our combination IQ-OQ-PQ protocols. Practically all the requirements are in table form. Allowing fast and clearly presented results to be obtained.